So, nigh unto 18 years ago, Melissa brought home a book. Specifically, this book – “Galloway’s Book on Running“. “I want to run the Disney marathon in January 2000,” she said. I’d been a runner by then (1999) for about 5 years – I did Navy Officer Candidate School in Pensacola Florida, and the Marine Corps Drill instructors we had really (REALLY!) liked to run. Partially, I think, because the United States Marine Corps is the toughest large group of people you’ll find on the planet, and mostly, I think, because they liked seeing cocky college kids puke at 5:15 in the morning. So, way back when i graduated college, I, in the space of about 3 weeks, went from someone who’d run a mile or so each month since it was good to run, to someone who’d go run 3 or 4 miles a couple of times a week because running was good. There were a couple of hiccoughs, but I could at least go out and put in some miles a couple of days a week. But, I wasn’t really a runner. Galloway’s book, though, was an eye-opener. In easy language, he put out a plan by which folks like me – joggers, folks who hadn’t run as kids, folks who wanted to get active again – could. And he didn’t talk down to us, he didn’t focus on the harm we would be doing sitting on the couch, he didn’t say “Push through the pain”. 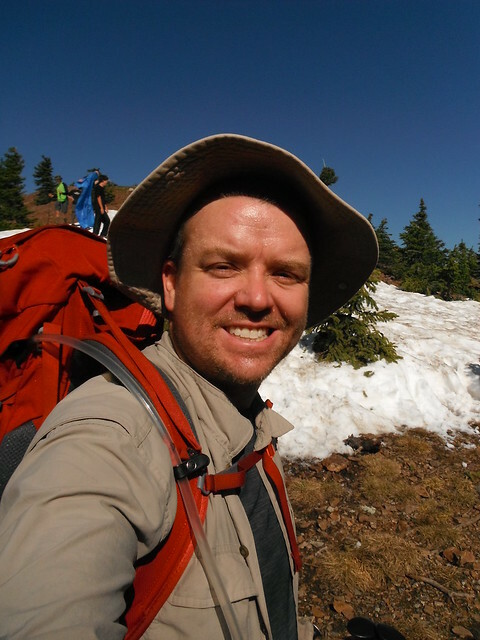 Instead, Jeff put down a positive, low pain, high gain approach to becoming a runner. Missy and I followed the plan religiously, sort of, until about September, when we found out she was expecting our first child, and then I was on my own (Again, we’d gone from couch potatoes to runners, so the thought of running through pregnancy was somewhat foreign to her). I lasted until November – had a glorious 16 miler one late fall weekend, and then, faced with 18 miles of sleet, it seemed that the wiser thing to do was not fly with a 7 month pregnant wife, and we withdrew. Fast forward 18 years, and Missy and I are still running. A couple of weeks ago, one of my social networks said that Jeff Galloway was going to be at Kelley’s Pace right here in Mystic. So, I convinced Melissa (Hey, y’wanna go? …Sure…), and we put it on our schedule. It wasn’t without concern that I went – I’ve met authors before and been terribly disappointed – people are often on to different projects and are different people from what your impression is from reading their books. Jeff wasn’t that – he was a man who seemed genuine, happy with his mission, and just as excited about the next people he was going to get running as the first folks he started with back in 1972. 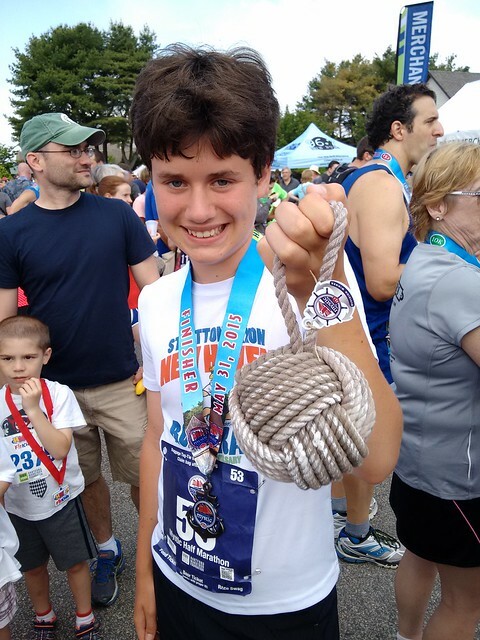 Running is a social activity – Jeff’s running career started as an overweight 8th grader new at a school that required all kids to do some sort of sport. He picked XC, since he’d only have to get to the woods, and then could hide till practice was over. But the second day of practice, a couple of kids he thought he’d like from practice told him to tag along. Each day, he went farther and farther, because he wanted to gossip with the other guys. Human Brain vs. Monkey Brain – I’m going to have to spend some time on his website to get this exactly right, but it boils down to mindfulness – when something is difficult, the way to get it done is to spend some time thinking about it. That’s why he thinks the run/walk/run thing works, that’s why he’s big on pacing. Kind of blew me away in a GTD/43 Folders kind of way (I know that 43folders hasn’t been updated in a while, but it’s still a great resource, and Back2Work is a breath of fresh air each week). The Magic Mile – Wanna know how to pace? Go run your fastest mile. All out, leave everything on the track. Then add at least 30% to that. That’s your long run pace. Add time for heat, add time if you’re feeling out of it, whatever. Mostly, don’t worry about it. Run/Walk/Run – While I think Jeff’s secret sauce is his personableness, and his ability to make running seem like something that IS doable by anyone, THIS is what sets the Galloway method apart from everyone else. After listening to him last night, I may start incorporating this into my own running again. The essence is to fool around with CONSISTIENTLY, not just when you’re tired, but from the beginning, taking walking breaks in your runs. It allows for some recovery during the run, and lets you go longer. Honestly, I could probably keep pushing this post out to about 10,000 words – really, without “Galloway’s Book on Running“, I wouldn’t be a runner, I wouldn’t have been writing this blog for a decade, and I’d be missing out on wonderful Saturdays and Sundays with the wife and kids and a whole host of wonderful people I’ve met on the roads and trails. The weekend was AWESOME. Two good bike rides, a kayak trip, sunshine without turning bright red as an antibiotic side effect – quality. 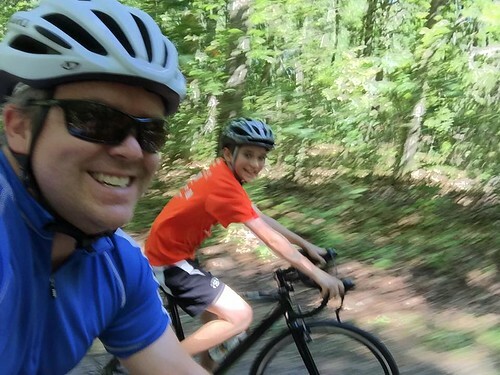 Saturday morning, #2 son and I went and crushed 18 miles of cross – down through Bluff Point, and even a little bit of singletrack along the railroad through Haley Farm. We did have to stop for coffee and conversation at Green Marble. 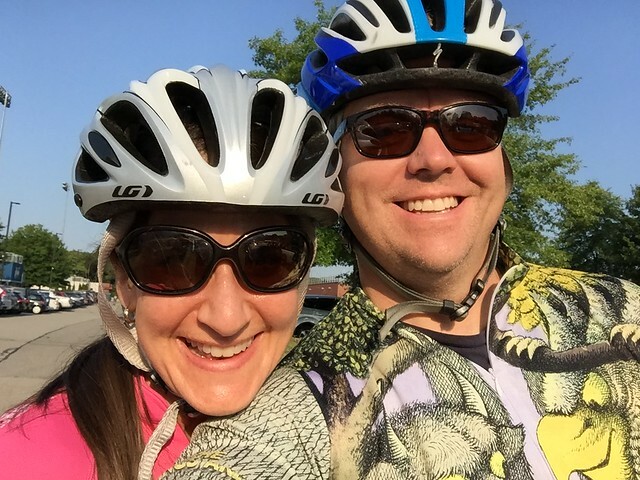 Monday morning, Melissa and I got out for our first ride together since June – boy, have i missed this. Not an epic ride, but a bit of our life together that’s been missing. And today – 90 degrees (but dry!) and 1.5 miles running, and another 1.2 alternating run/walk so as to not blow out the knee. On Jamestown, and a dip in the Atlantic to cool down. Possibly too long floating on my back, feeling the sun beat down. Life is OK, and I think I’ll be better soon. Not much, but it’s a mile, it’s almost running (Not quite 9 min/mile), and I didn’t die. I’m about a week out from finishing the course of Lyme antibiotics, and the swelling in my knee is getting back to being manageable. I think the body is almost willing; now to get the mind there. On a completely other note, a friend is looking to run a marathon sometime next year. My advice was to do it. He’s in decent shape, and I think he’ll crush it. But, his question made me think: When I do go back into shape, how am I going to train? The base appeals to me – it’s about 15-25 miles a week, 30-45 minutes on work days, and less than 2 miles on weekends. Very manageable, very doable, but a solid base. Periodization This is where you build for 3 weeks, and then cutback on the 4th week. 10-15% build on the long run only Only adding about 10-15% more mileage every week. Three 20 milers 20 miles is a funny distance. It’s a long, long way to run. But, it’s not so long that it destroys you like the marathon will. Most marathon plans add mileage to the workweek runs. I’ve always had a hard spot with this, since, even as my training requirements grow, my work, sleep, and family requirements don’t shrink, especially on week days. I’ll fudge on this a little bit; move from 5K at lunch to 4-5 miles, but that’s adding 15-20 minutes/day instead of another half hour or more for the plans that go to 6-8 miles on weekdays. So, that’s about it. Need to set about getting back in shape, which means I need to set about getting disciplined again. Everyone running in the fall – best wishes; can’t wait to be toeing the line again. So, back in May, I found a tick. Went to the doc, got the Lyme Disease prophylaxis, and thought not much of it. 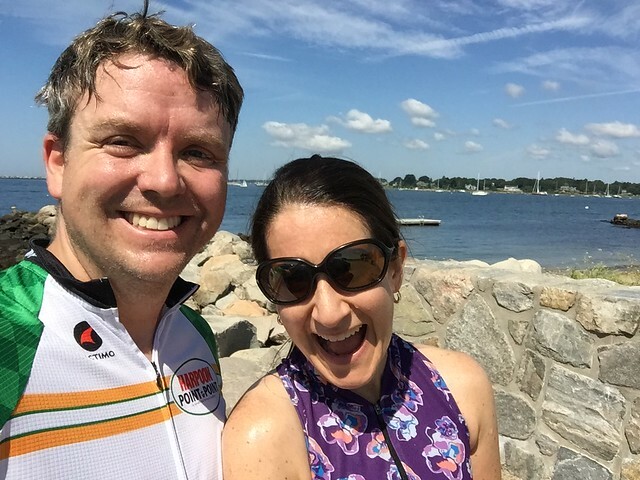 Did my first triathlon in a while at the Mystic Triathlon; not in great shape, but racing felt AWESOME – really brought out the desire to fly, and I thought I was on track for a great summer. Went for 4 days on the Long Trail in June, and had one of the scouts need to be medevac’d due to vomiting and generally feeling terrible. Turned out, he had Lyme. Trip felt great for me; and was happy, healthy. Vacation in Stowe was AMAZING as always; possibly the best week of the year by far, though my conditioning didn’t really reflect the effort I’d put in. Not sure why. Immediately after vacation, I had a work trip to Honolulu. The first couple days I was there, my right knee swelled up, which is odd, because that’s like the only joint in my legs I haven’t had an issue with. But, it felt better when I ran, so I went with it. Plenty of good running laps of the canal, and a rented bike from Island Triathlon & Bike lead to two AWESOME days of riding. But, I got home, the knee swelled up, and the lethargy I felt was stronger than the usual 6 hour Hawaii jetlag. So, I went in to see the doc, who, given the tick earlier in the year, said we ought to start the antibiotics, and take the test. The test came back positive for Lyme, so I’ve got that going for me. The course of Doxycycline seems to be working well; most days my head is clear, my knee doesn’t ACHE, though it is still tender. I went for a (REALLY SHORT) bike ride this morning, and had no lungs, though that might just be neglect. Something happened at the end of January. Still not quite sure what happened, but something did. I think it was the shoes – they were some awesome pseudo chukkar boots. I’ve had them for a couple of years, and haven’t had a whole lot of trouble with them. When I had some issues recovering from a torn tendon two years ago, I put some Dr. Scholl’s inserts in them. Which elevate my heels a bunch, I think, even on top of the boot heels. About a month ago, I went out for some testing, wearing the boots since 1) they look cool, and 2) it was snowy, and boots in snow are the BEST. I spent a whole lot of the day on my feet during the testing. No biggie, but I was noticeably sore when I got to the hotel that night. The next day, I went for one of my typical out-and-backs from the office. Out felt great – I’ve been better than average after the new year about getting out to run, so was pretty excited that we had a sunny, non-windy, non-freezing day in January. I got to the typical turn-around time, and started heading back to the office. With about a half-mile left to go, something siezed up in my calf – kind of like a little knot. That day, I gutted through it, chugged up the hill, and back to the office. The rest of the day, it was tough to walk – kind of like a charlie horse right at the base of my calf muscle. Stretched it several times. I went to run the next day, got a mile out, and it siezed up again. Fastforward a month. I’ve taken two whole weeks between runs (ie, run, waited a week, run, waited a week, run) … I think I’m almost out of the woods. Today was the real test. Before I headed to the airport, I laced up the sneakers again, set the iPod, and headed off to actually get some San Diego style run in – Point Loma, through the national cemetary out to Cabrillo Point. Ocean views on both sides, a little bit of roller, no humidity, light breeze … left me wondering why people would live there, avoiding winter and getting soft? Five minutes in – F#ck. The familiar crimp in the base of the muscle on my right calf. F#ck, F#ck, F#ck, F#ck. 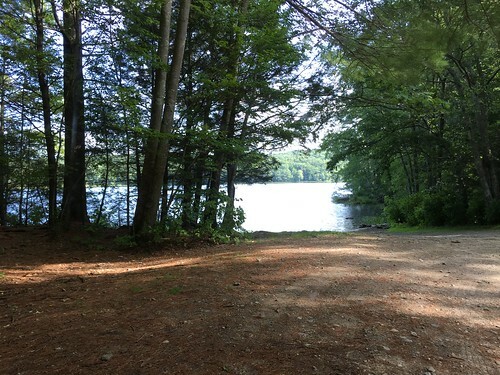 Headed back to the car, though, something new happened – the knot started to unwind, little by little, and after 5 minutes of walking, it felt good enough to take a couple of tenative steps at a jog. And wonders of wonders, the knot worked itself out, and the last 20 minutes were great – not even a hint of hurt. So, I’m typing this, and mildly hopeful that I’ll be able to run again tomorrow. Part of me says that’s probably not the best idea I’ve ever had – but most of me wants to figure out if I’m actually better, or if this is just temporary. Busy, busy, busy times. Grad school project due tomorrow, clustering happening at work (much like always), and in the thick of activities between Scouting, Church, and the part-time job. But this afternoon, for a glorious 61 minutes and 33 seconds, it all slipped away, and I chased the sun as it plummeted from the sky far too early in the day. We’ve been enjoying an outstanding autumn, almost an indian summer, but not quite warm enough. Last night into this morning, though, the weather changed. The wind picked up and blew, and the temperature dropped from the mid-60’s Friday evening into the 30’s this morning. 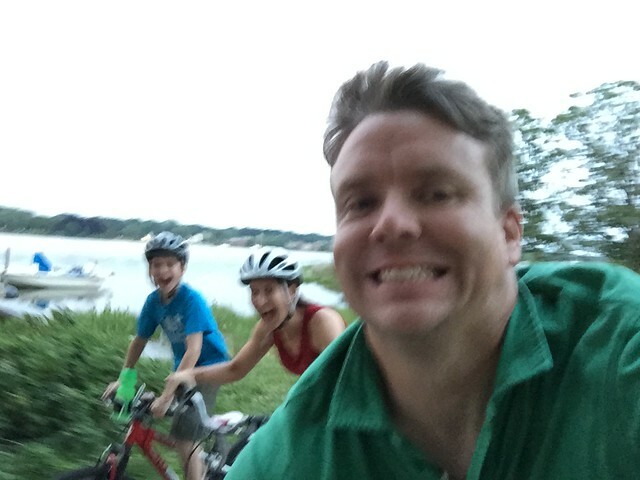 I think I’m finally getting my mojo back, getting into a regular habit of hitting the road, hitting the pool, and at least a weekly bike ride. Would be great to have more time to ride, but I’ll take what I’ve got. Anyway, had a virtual meeting with some classmates about a project we’ve got due tomorrow; divvy’d up the remaining work, and headed out to hit the road. Laced ’em up, fired up the Ambit and the iPod, and hit the road. I was a little interested in how it was going to go – not sure when the last time I’d done back-to-back runs was, and not sure when the last time I’d done more than 10 miles in a week back-to-back was. But, my race at Tarzan Brown was better than last year (shockingly), and that’s given me a little bit of a boost. Plus, my teenage son smoked me, and I’m not really ready to be an old man. It’s a lie to say it was easy today, but it felt good, and I just kept going. There’s a hill near the house, Boston Post Road approaching Flanders Road from the east, that’s a classic coastal New England bump. Maybe 100′ of elevation total over almost 2 miles, but enough to notice. A couple of years, I decided that I’d stop avoiding the hill and embrace it, and today may have been the first time I’ve really, really loved it. The shadows and tall trees were stretched out, and the sun was plummeting towards the horizon. 6 weeks till the solstice, allegedly, and then the days will inch back towards something approaching reasonable. I crested the hill, and decided to turn a 5 miler into an hour, kept running down the other side of Flanders Hill, and into the sun. A glorious, glorious patch of sun, a downhill, and a lee from the cold wind. Good legs, good lungs. It’s a long four months until the end of March when we might see days like this again, but runs like today make it seem like I might get there again. Fall is awesome. Let me just start with that. Down in DC for meetings, and dealing with slowly getting back into shape. Stuck in a new hotel out in Alexandria in kind of a residential desert; it’s kind of unusual in that it’s one of the few places around DC without a robust bike/trail infrastructure like right out the door. But, thanks to the good folks at the desk and the google maps, I was able to map out a run that turned out pretty much awesome. About a mile down the hill from the hotel was Holmes Run Trail. Beautiful mix of paved and unpaved options. The light was stunning. Anyway, it was one of those runs which was absolutely awesome. Happy to go. Using this as part of my long migration to Ubuntu. Love my Ambit 2, and Open Ambit seems to work like a champ. 8 hours. 8 whole hours of logged exercise for an entire month. Anyway, made it out this morning into the autumn early light. No fog, but low, cold clouds hanging over the trees. Cool, but not enough to have to put on long sleeves. The run was unspectacular – 9 minute miles on an out-and-back I’ve run more times than I remember – downhill to just before the turn, then a small 20′ kicker at the midpoint, and about 100′ up in the mile and a half or so back to the house. But it was a run. Which counts. 8 hours, 15 minutes a day … maybe that’s not so bad. Anyway, today was the last day of the kids being at YMCA Camp Woodstock, so I did a pseudo-brick: Actually, a BSOTSD (Bike and Swim On The Same Day, if BRIC is a Bike and Run in Combination). The swim was OUTSTANDING! 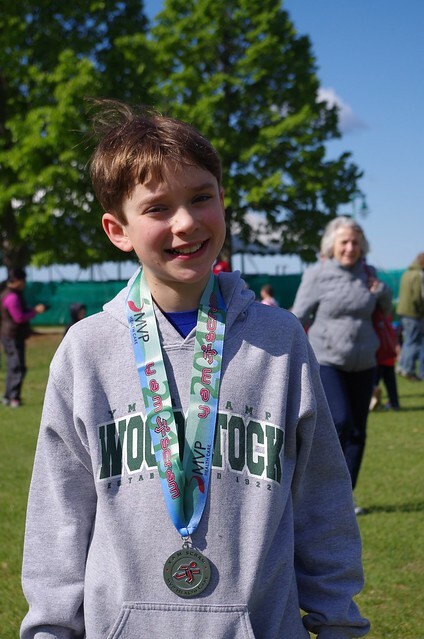 We’ve been sending the kids up to YMCA Camp Woodstock in Woodstock, CT (Duh, but everyone assumes it’s Woodstock NY, so I usually mention it). The kids absolutely love it, and I’m jealous as all get out. It’s a plain, old traditional summer camp – swimming, and outside, and climbing, and stuff. Coed. I’m jealous. Anyway, the last couple of years, on either dropoff or pickup we’ve gone on giant bike rides, or I’ve swum in the pond, or whatever. Today? Well, can you ask for a nicer day? Swim was great – 10 minutes out, 10 minutes back. Water was perfect, and this everything felt smooth. So, got the kids home, unpacking, etc. And decided to run out for a bike. Occasionally, there’s beach traffic backed up on IH-95 south on Mondays, so I take a back road across the RI border. For about 10 years, I’ve been thinking “Man, that’d be an awesome ride.” So, today, I rode it. I had an epiphany earlier this week: Cold Brew Coffee as the basis of an energy drink. 1 part Cold Brew, two parts Water, a pinch of salt, and a teaspoon of sweet. Loaded it up and hit the road. I was right – the course was outstanding. Good long drag down CT 184 to the border for the first hour. An hour of mostly downhill and rollers to Westerly, through fields and dairys. The birds sang, the breeze blew, and the sun beat down on my ears. The last hour was the drag from Westerly back to Mystic, which I’ve ridden a thousand times (Maybe hyperbole, maybe not…). And, after 2 hours in the sun, only two bottles of drink, and one Kashi granola bar, I pooped out. If you’ve never bonked before, it’s kind of interesting. Just before, you are feeling somewhat fine – maybe in the hole, maybe a little on the good side. Then, in the space of 100 pedal strokes, everything just kind of leaves you. Air stops entering your lungs, your heart stops pumping, and your legs just don’t want to work. A saddle that’s been comfortably beneath you for thousands of miles is suddenly assaulting your rump. 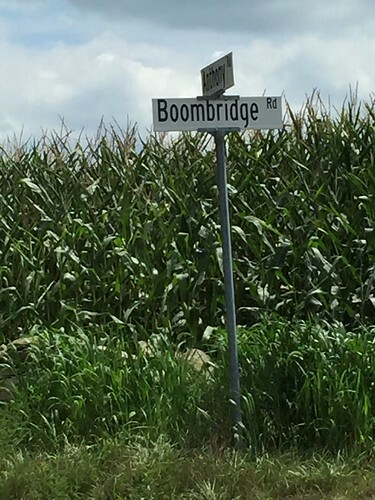 Anyway, this happened to me just as I came to the light at RT 1 and Flanders road. I coasted through to the shade on the west side, and sat down. 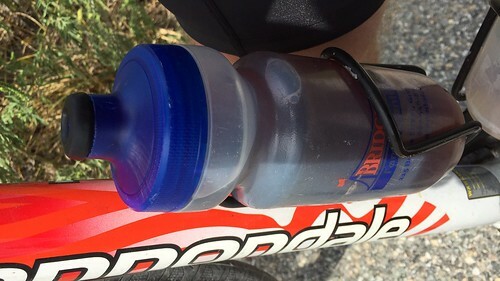 SOmehow after finishing my last bottle and sitting for a couple minutes, I was able to get back on the bike and limp home. The bonk was glorious. Which isn’t to say I’d like to do it again anytime soon, but there’s something satisfying about finding the limit, pushing past it, and realizing that there’s work to be done to move that limit further out.